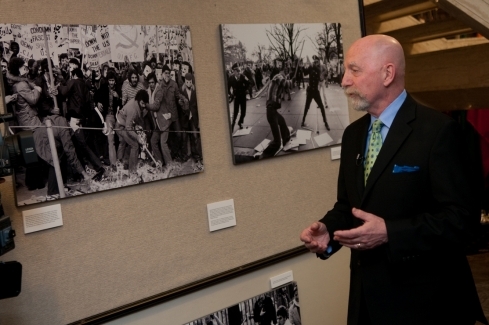 Canadian Press Photographer Peter Bregg discusses his photographs depicting the Iran Hostage Crisis on display in the National Press Club lobby, Jan 21, 2011. Mr. Bregg then gave a formal presentation about his work to members and guests marking the 30th anniversary of the Hostages' release. 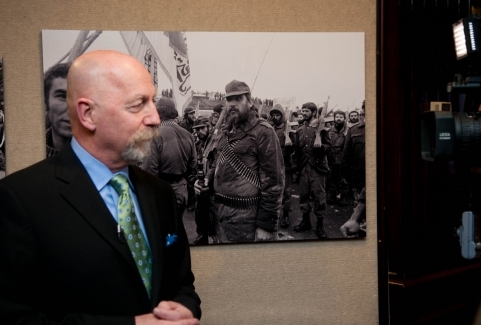 Photographer Peter Bregg talks to NPC members and guests about his work covering the Iran Hostage Crisis, Jan 21, 2011. 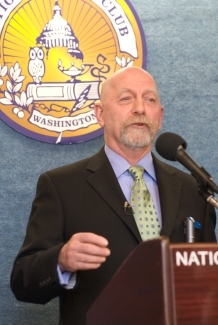 Mr. Bregg covered the crisis for the Canadian Press who were allowed in Iran during that time.